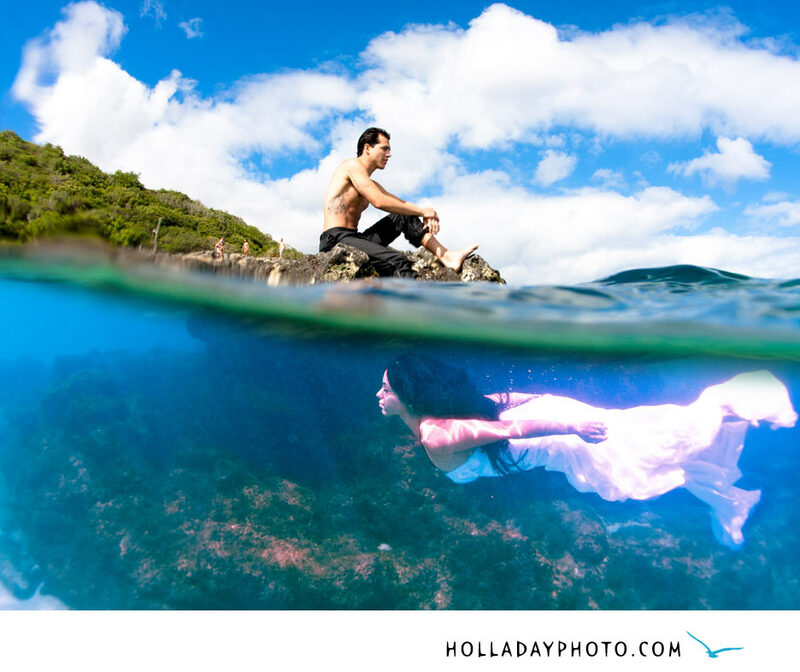 I don’t know if I would call this an underwater bridle or trash the dress session, but it was a lot of fun photographing Isabella and Ryan at Waimea Bay. They were naturals in the water. Later this week I will be posting pictures from their wedding at Sun Set Beach and more underwater pictures at Waimea Bay. I LOOOVE the juxtaposition of the bride and the groom – what a cool idea, congrats! Nice Location & Good Editing. Love, love, love! the colors!